Sitting on the terrace of Lady Antonia Fraser’s sumptuous and sun-filled Holland Park home, I am reminded of what Cardinal Newman said about English Catholicism’s ‘Second Spring’ in the mid-nineteenth century – when the persecuted clan emerged from ‘the shadows’ of their ‘obscure country houses’ and entered public life. Lady Antonia herself, who at 86 combines the grandeur of a Whig hostess with the glamour of old-style Hollywood, has never lived in the shadows of anything or anyone – and hers must be the least obscure house in London. More or less every player in the cultural and political fields of the last sixty years has been entertained in the dining room where we are shortly to have lunch, beneath one of David Jones’s loveliest paintings. The poet-artist had been a friend of Sir Hugh Fraser, the Tory MP who was Lady Antonia’s first husband. In 1975, the Frasers narrowly avoided being detonated by an IRA bomb planted beneath their Jaguar. It instead killed their neighbour who was walking his dog. That same year, Antonia met Harold Pinter, who she married in 1980. So a great deal of history is attached to these walls: the Frasers’ six children were all born here, as were Lady Antonia’s thirty-odd books, including her latest, a tour de force called The King and the Catholics, which is what I am here to discuss. The book begins with a vivid account of the Gordon Riots in 1780 and ends with the passing of the Roman Catholic Relief Act, given royal assent by George IV (pictures) in 1829, 190 years ago today, which permitted Catholics to Parliament. Fraser provides a technicolour account of the extraordinary moment when the British people – led by Robert Peel and the Duke of Wellington – overcame a particularly toxic bout of religious intolerance. It’s a timely subject, I tell her, and a terrific read, at which she beams – positively beams – with pleasure and admits I’m her first reader, if we omit her editor and those friends who commented on chapters along the way. Her need for reassurance is part of Fraser’s considerable charm, and it’s hard to believe that she has recently suffered a small stroke. Luckily she had just completed what she calls the book's ‘Bloody References’ when she had the attack, and she is now on a cocktail of pills. If ‘Pinteresque’ refers to the qualities of menace and mundanity in Pinter’s plays, then ‘Fraseresque’ might describe the narrative compulsion Lady Antonia has injected into popular history. She has paved the way for a new and fresh generation of historians, including her daughter Flora Fraser. Her work as a historian led to her being made a Companion of Honour in the last New Year’s Honours List. I, too, needed to have this drummed into me, and am now unlikely to forget it. Another Fraseresque quality, pulled off with aplomb in The King and the Catholics, is to write about her relations. 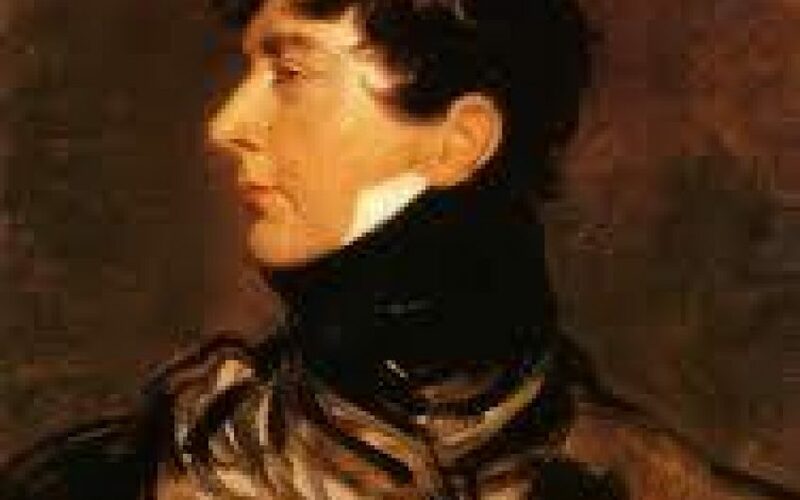 Robert Peel was her great-great-great grandfather and she is the great-great-great niece of the Duke of Wellington. As I settle into my third plate of chilled avocado and melon balls, Fraser talks about being a Catholic historian – by which she means she’s a historian of Catholicism as well as a historian who attends a sung Latin Mass every week at Farm Street Church in Mayfair. Between mouthfuls, I repeat something AN Wilson said about atheists being like people who have no ear for music or have never been in love. The King and the Catholics is really the book of her life, I suggest. So why did it take her so long to get round to it? Now that she has stroked it, fed it, and given it a good bath, I ask about Fraser’s own history. She became a Catholic aged fourteen, which essentially means – as her priest pointed out on the sixtieth anniversary of that conversion – that Antonia Fraser is a cradle Catholic. But this is not at all how she sees it. Conversion is at the core of her family. She was eight when her father, Frank Pakenham, 7th Earl of Longford, converted; and thirteen when her mother, the historian Elizabeth Longford, followed him. I ask if there was marital tension in those five years? ‘There must have been, but I really don’t recall,’ Fraser replies. ‘The only time I remember my parents ever arguing was when my mother wanted to redecorate the house and my father hurled the visitor’s book at her. I was absolutely stunned’. Antonia’s own religion, her parents told her, was a matter of choice but she already knew that she also wanted to be a Catholic. ‘How did you know?’ I ask, with the perplexity of a cloth-eared, heartless atheist. As a pupil at St Mary’s Ascot, Fraser studied the doctrines of Catholicism alongside schoolbook history and threw herself with gusto into her new faith. It’s astonishing, I suggest, to be certain of something so serious at such a tender age. And then I remember that she showed a similar certainty when she fell in love with Pinter (for the full story, read her memoir, Must You Go?). Antonia Fraser knows what she wants, and is then loyal to her commitments. I ask if her faith has helped with her grief – last Christmas Eve, it was ten years since Pinter’s death. And has she ever fallen out with God? As for suffering any anti-Catholic discrimination herself, Fraser was warned at the start about not being able to join the freemasons. But Catholicism has, on the contrary, opened doors for her: ‘I would never have written Mary Queen of Scots [her first book, and an instant bestseller in 1969] had I not been a Catholic, or The Gunpowder Plot’. Over cheese and grapes, we agree about fancying Daniel O’Connell, ‘the Liberator’, the Irishman who fought for Catholic emancipation – who should be played by Liam Neeson in the film version of her book. We wonder whether, given the choice, we’d stay with Lord Melbourne or run off with Lord Byron (‘Byron would be hard to resist’, muses Fraser). We also discuss that other Catholic schoolgirl Meghan Markle, who Fraser adores. Watching the royal wedding on May 19th might be difficult, however, because The King and the Catholics is published that week. As I put on my coat I ask about her next book. While she is not yet ready to go public with the subject, I can confirm that she has a crackingly good, and typically Fraseresque, idea.